The RDX Cow Hide Leather boxing gloves are made of authentic, full-grain cowhide leather with a gel Efficax lining. 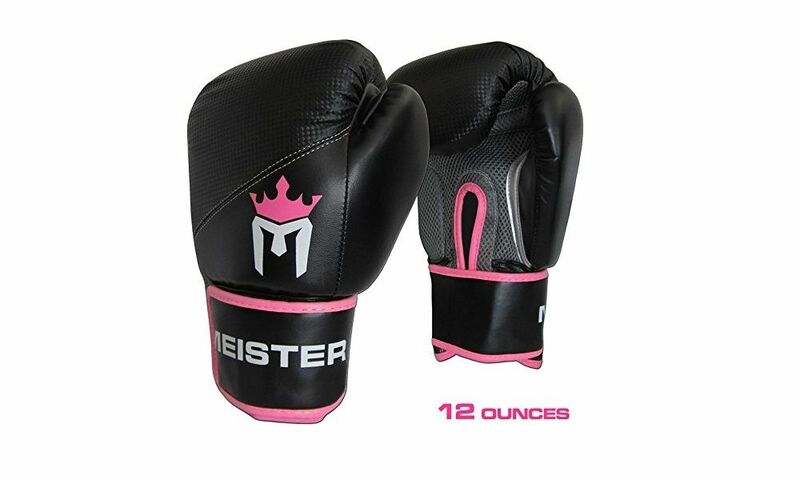 They can be used for sparring, light bag work and mitt work. The gloves are resilient and durable enough to withstand heavy use. 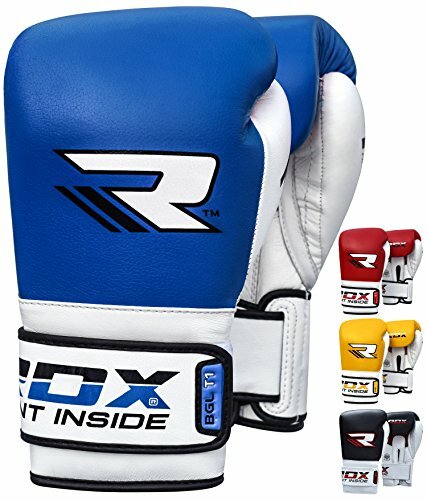 Amateurs and professionals will love RDX Cow Hide Leather Boxing Gloves when they use them for training, because apart from the good design and variety of colors, the comfort and protection the gloves offer is also quite good. The gloves are well ventilated and will feel breathable when worn. Wraparound wrist strap can be easily adjusted to your wrist size. The gloves will not lose their shape easily, even after years of beating. Sturdy wraparound closure will also support the wrists to decrease the risk of injuries. Some users who reviewed the product noted that the colors do not hold up well. With the wraparound strap, some may find the fit too snug for comfort. Some people also found the high cuffs quite constricting when moving. A few people who reviewed this product noted that the seams of the glove can become ripped quite easily. The RDX Cow Hide leather boxing glove is a good quality pair that many will find comfortable to use and wear during sparring and other training purposes. Because the gloves are made of authentic full-grain cowhide leather, they are ensured to be able to withstand repeated beatings over the years. The design aspect of the gloves is well-balanced so users will find them comfortable to wear, attractive, but still sturdy enough to be used for years to come. Like the RDX Cow Hide Leather Boxing Glove, the Ringside IMF Tech Sparring Boxing Gloves are also known for their durability and effective padding technology. Ringside was considered the pioneer in introducing the first ever IMF (injected molded foam) technology. This technology directly injects foam into the glove by a machine to provide great padding and excellent hand protection. It features segmented cuffs that function as a second hand wrap to ensure that your wrists are stable when you throw punches. The gloves can be easily adjusted to fit your hand using the quick tie tech lace system that allows the user to tighten the gloves by just pulling the laces. The gloves are made of high quality synthetic leather to make sure that they are ready to withstand beatings, even during intensive use. Apart from ensuring that your hands and knuckles are protected, comfort is also something that the user can expect from this pair of gloves. The fit is snug, and the weight is evenly distributed across the gloves. Throwing punches on a weight bag will not be painful because the gloves will provide great shock resistance even when you hammer hard on the bag. 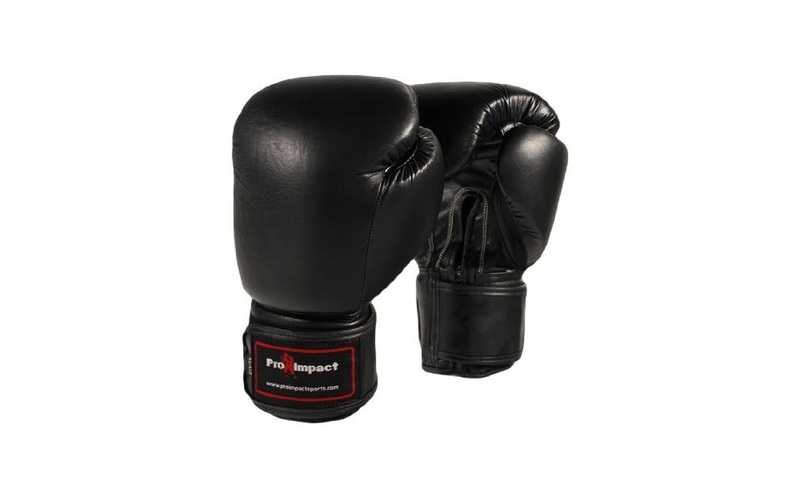 Another boxing gloves worth comparing to the RDX Cow Hide Leather Boxing Gloves is Pro Impact’s Genuine Leather Boxing Gloves in black. This pair of gloves has an all-black design. 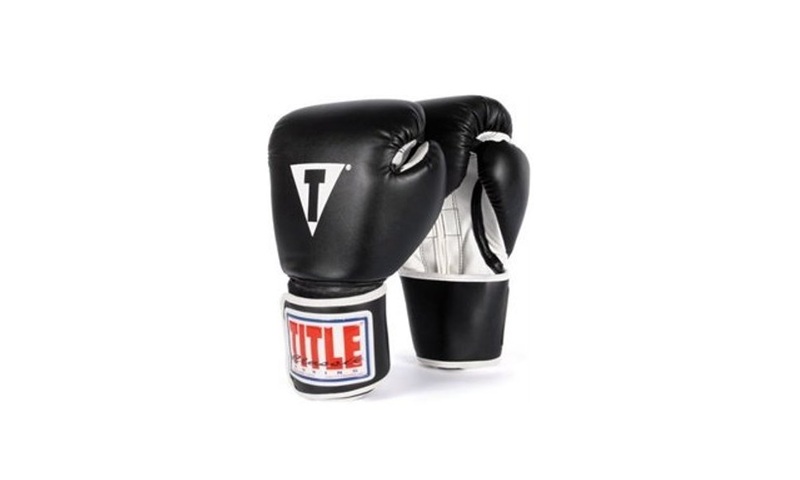 It is made of genuine leather that amateurs and professionals can find comfortable to use during training and sparring sessions. The gloves feature a triple layer foam core to offer the user an excellent level of protection during action. The gloves are designed with a longer cuff and a full wrist wrap for added stability and protection. They are quite big because of the extra padding, but no compromise is made when it comes to usability. The gloves weigh approximately 16 ounces, and also feature attached thumbs. 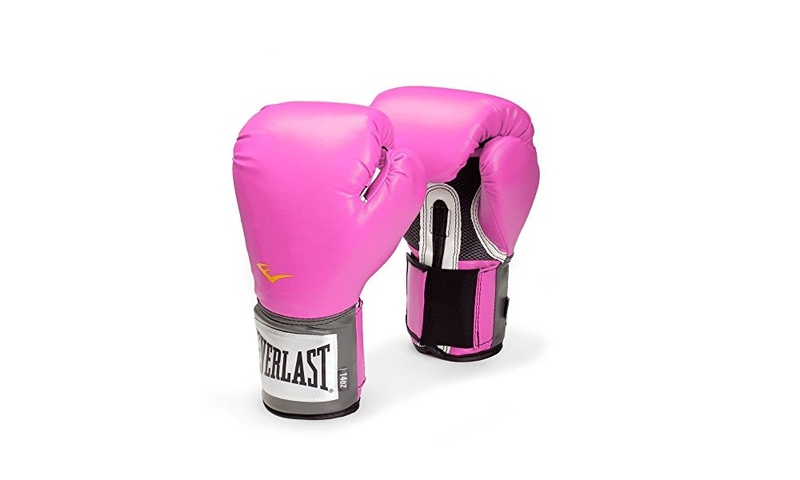 Whether you are sparring or training with weight bags, you can surely feel satisfaction when you use these gloves. Versatile, durable and comfortable to use, the RDX Cow Hide Leather Boxing Gloves are the best among the three. If you like snug-fitting gloves, that also offer a breathable space for your hands, this pair is for you. These gloves are great for training or gym use. Additionally, because of the durability that comes with authentic cowhide leather, you are guaranteed that the gloves will be able to withstand pressure and repeated abuse even after several years of using them.